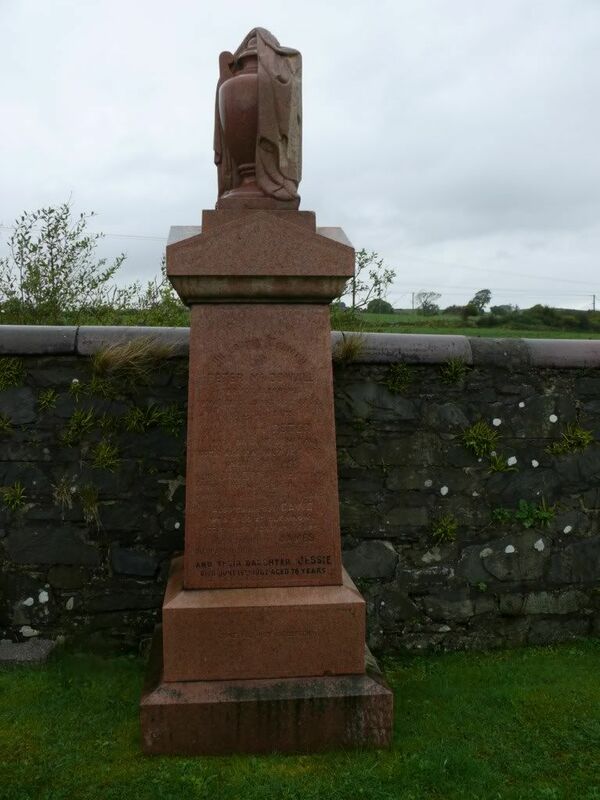 The S.S. Main of Main colliery Skewen, S. Wales was sunk by U-boat action on 9th October 1917 on the west coast of Scotland in Luce Bay. The only survivor was the captain (McCorquadale). Apparently the ships bell found its way to a pub in Ayr and when the landlord retired it was in his house. Note the discrepancy of one month in date. 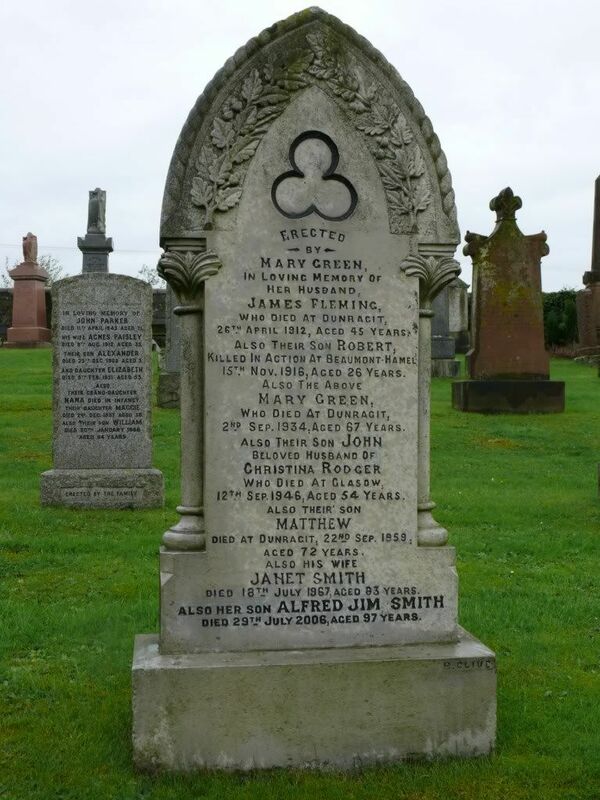 I cannot find any record of the sinking on U-boat sites - can anyone add anything? 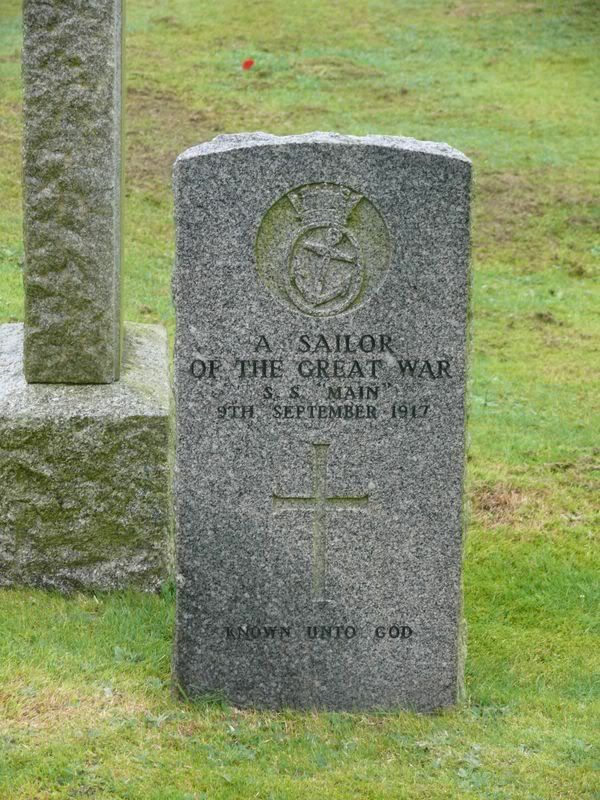 This is the third unknown sailor. 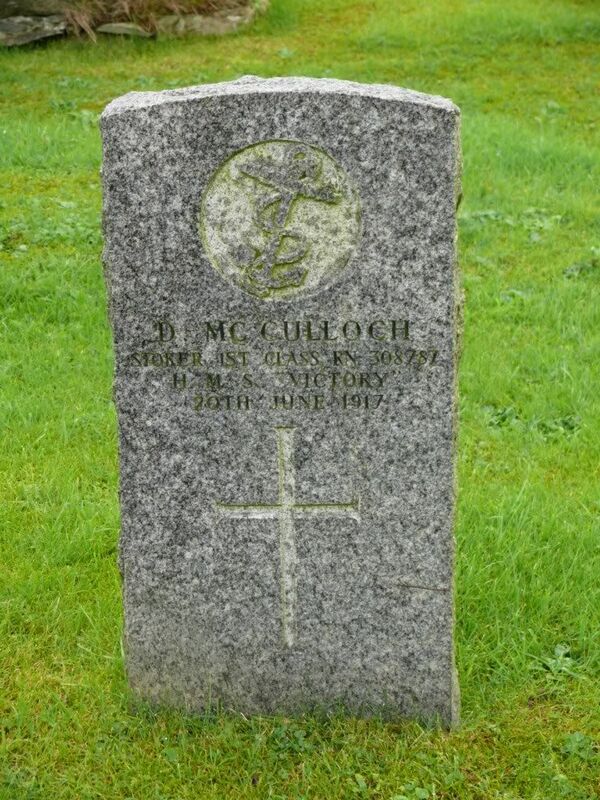 CWGC has him as merchant sailor but I think the gravestone shows it was not known whether he was merchant or Royal navy? 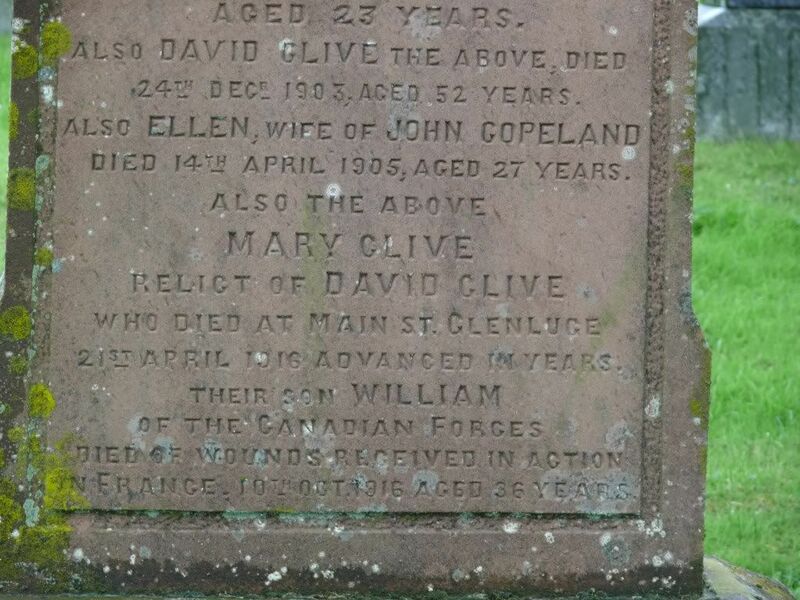 Additional information: Son of Mrs. Mary A. Lawrie, of Glenluce. 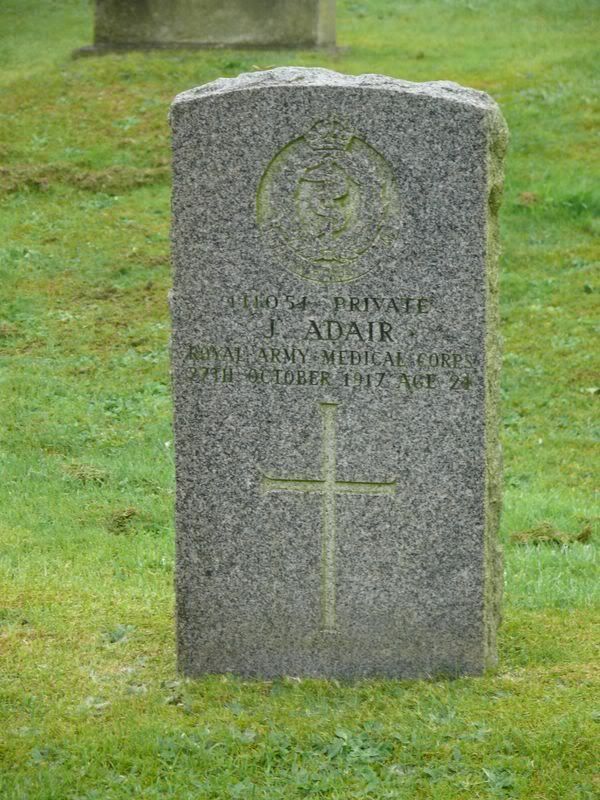 Grave/Memorial Reference: 272. 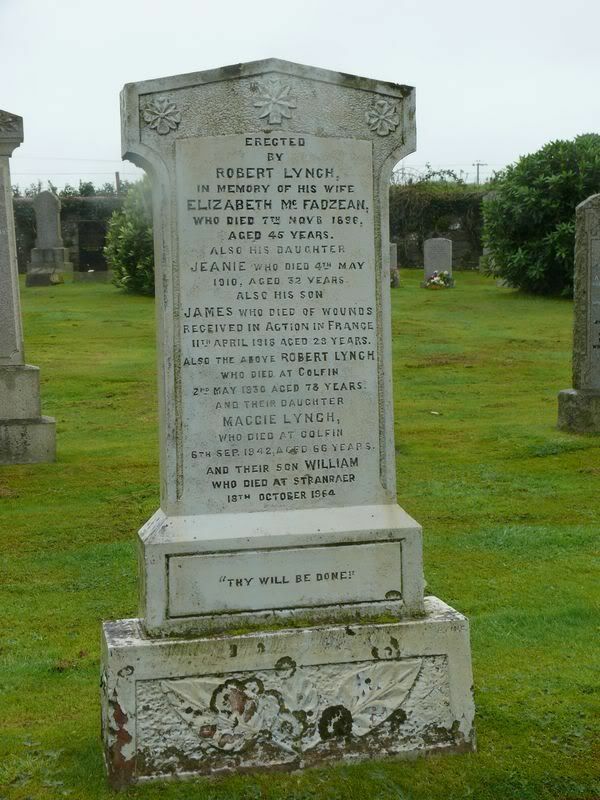 A and B.
Grave/Memorial Reference: 289. 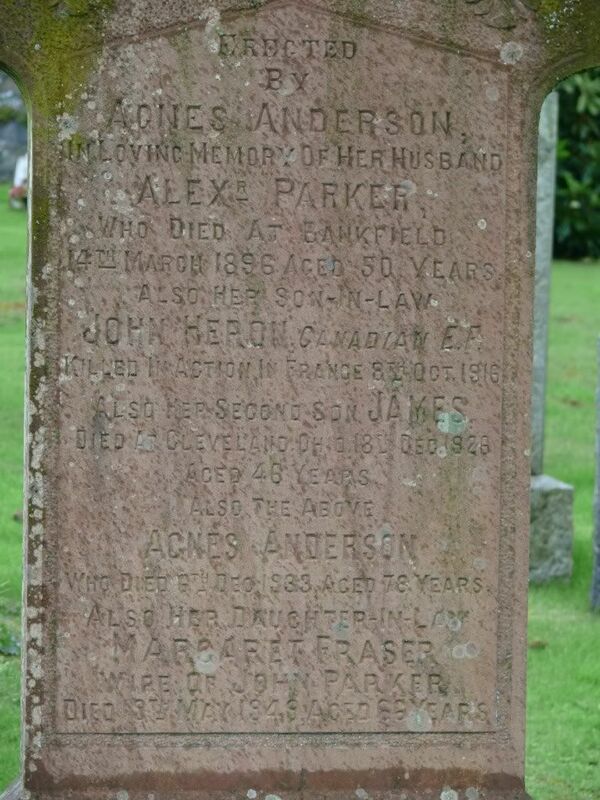 B and C.
Additional information: Son of Robert and Elizabeth Alexander, of Glasgow; husband of Jane Alexander, of Glasgow. 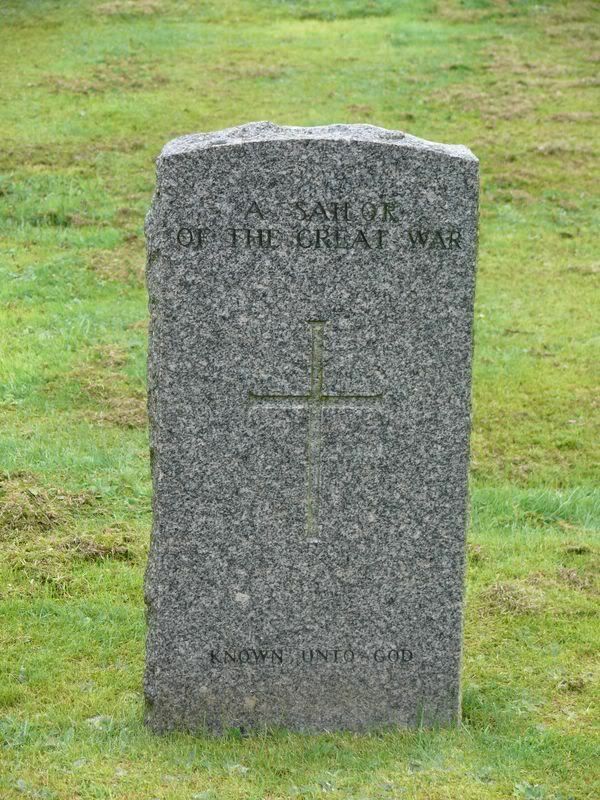 Grave/Memorial Reference: Block "S". Plot 4. 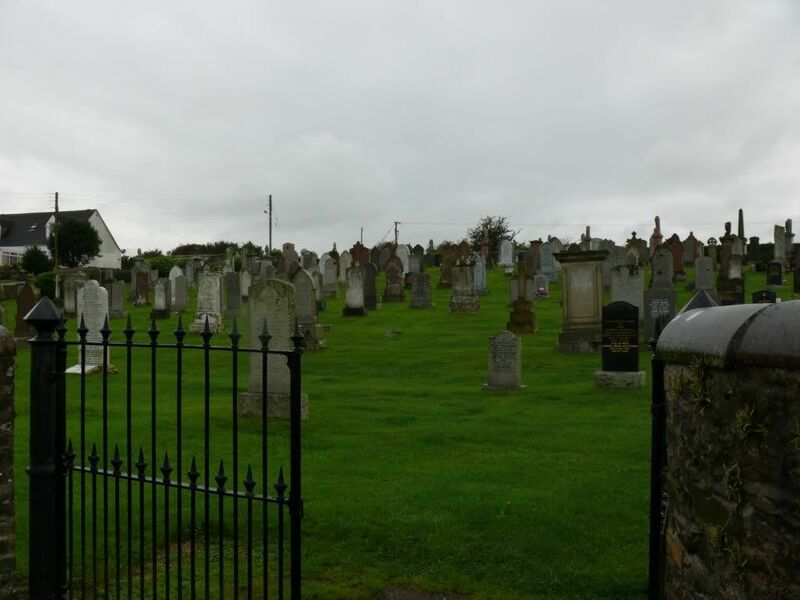 Row S. Grave 17. 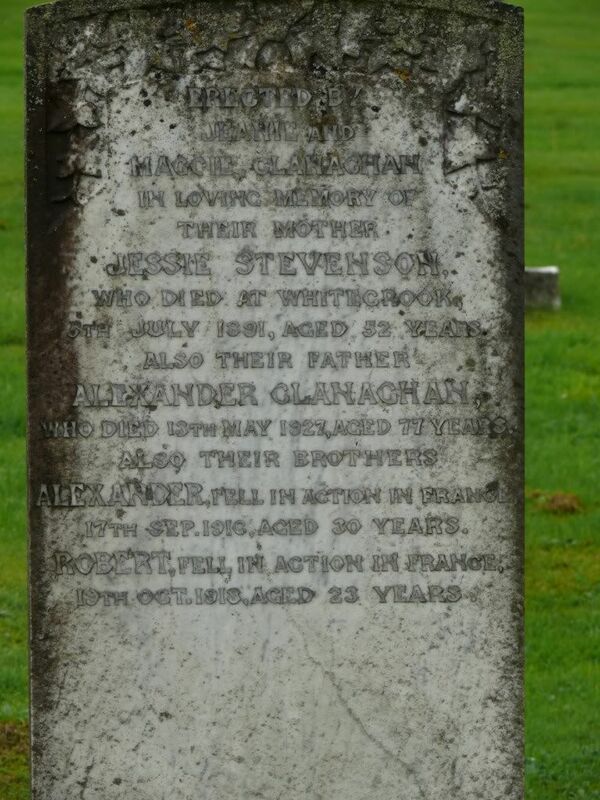 Additional information: Son of Alexander Clanachan, of Church St., Glenluce, Wigtownshire, Scotland. Grave/Memorial Reference: III. B. 19. 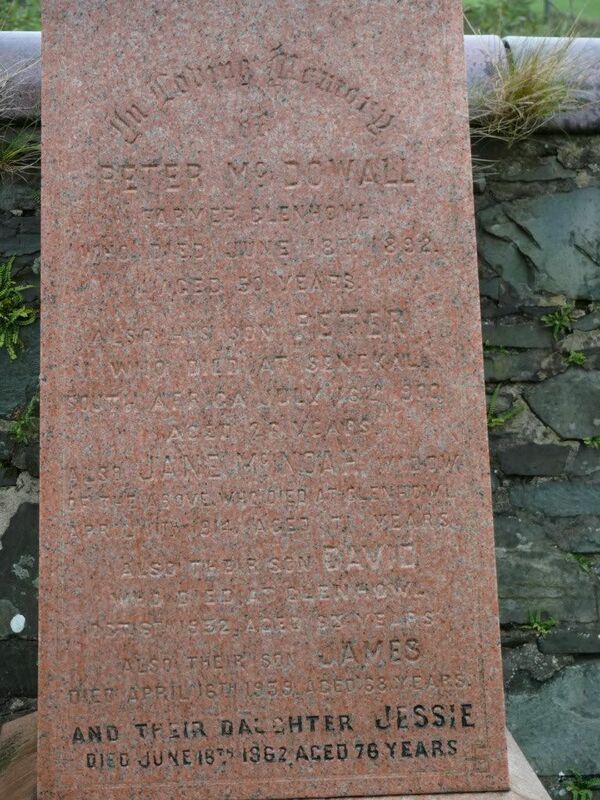 Additional information: Son of Mary Fleming, of Creamery Cottages, Dunragit, Wigtownshire, and the late James Fleming. 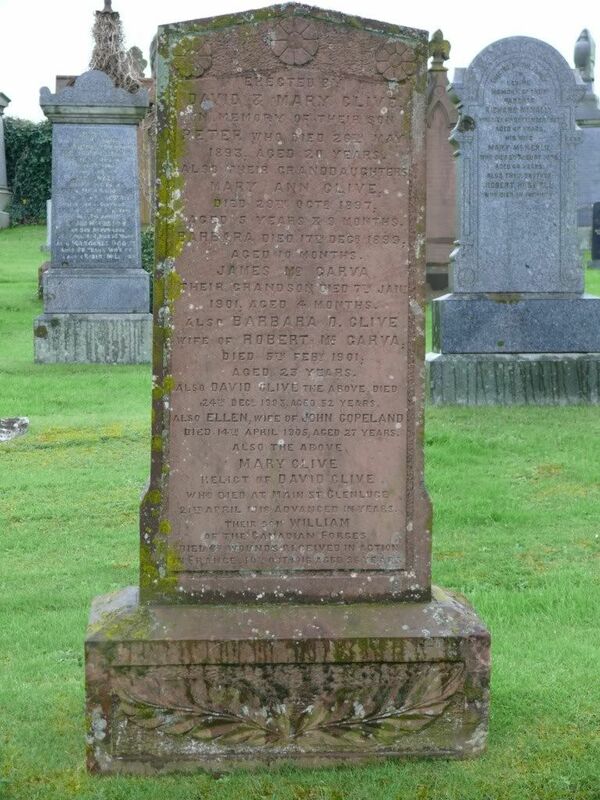 Additional information: Husband of Janet Heron, of The Barracks, Glen of Luce, Glenluce, Wigtownshire, Scotland. 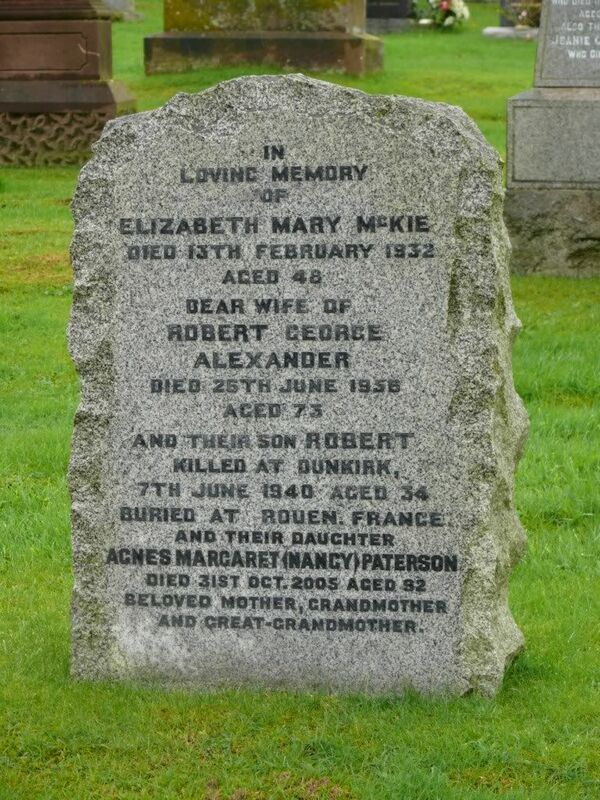 Additional information: Son of Robert and Elizabeth Lynch, of Glenluce, Wigtownshire. Grave/Memorial Reference: I. A. 35A. 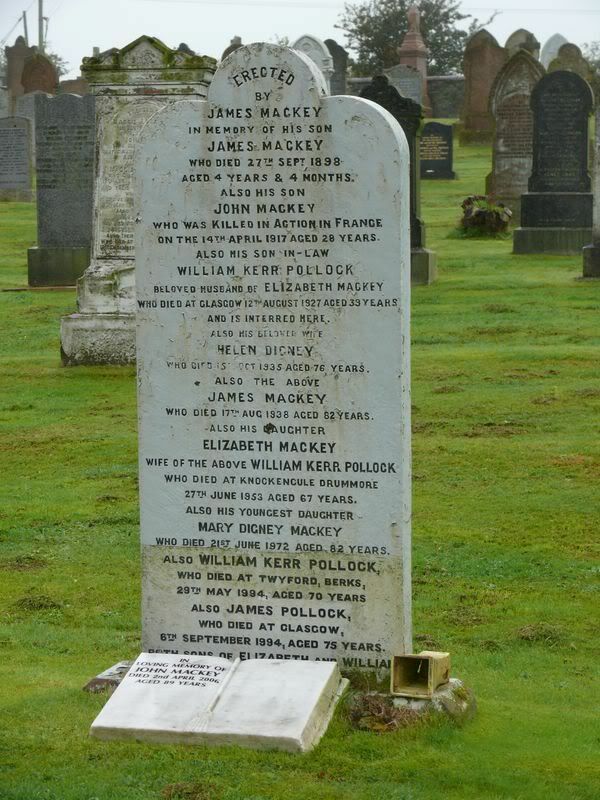 Additional information: Son of James and Hellen Mackey, of Church St., Glenluce, Wigtownshire. 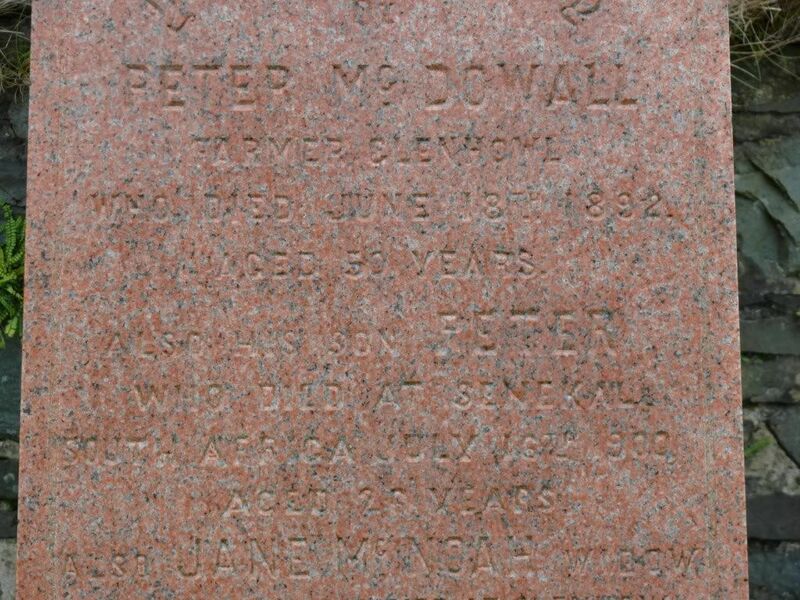 I am as sure as I can be that this is a Boer war death. 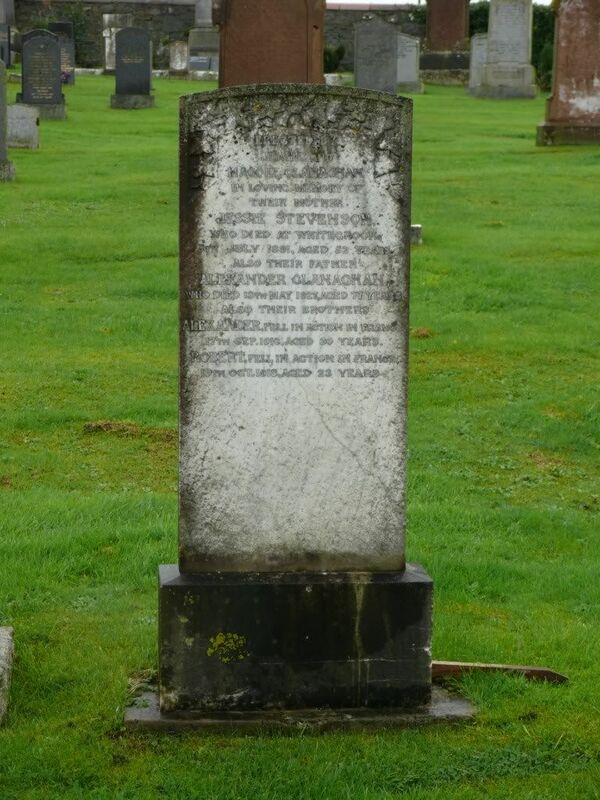 The CLANACHAN gravestone refers to two brothers - Alexander and Robert. 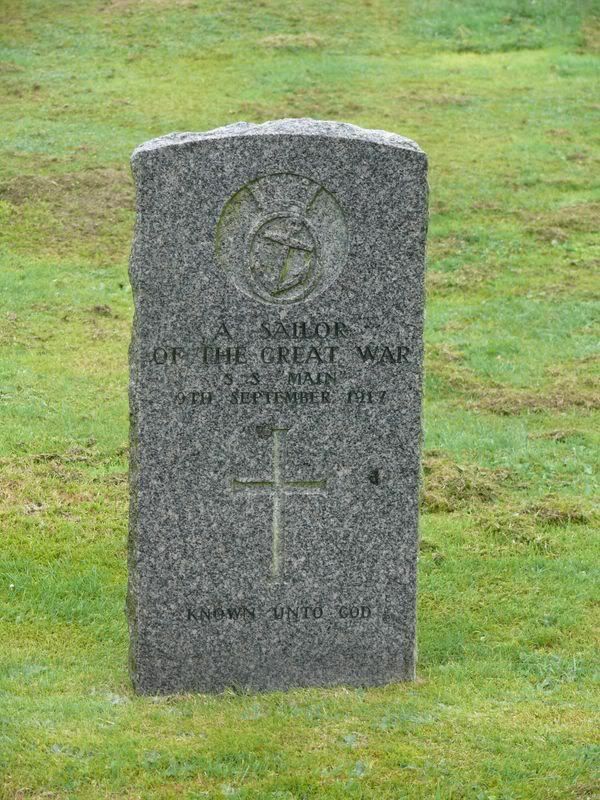 However it says Robert "Fell in Action in France"
Unit Text: 880th M.T. Coy. 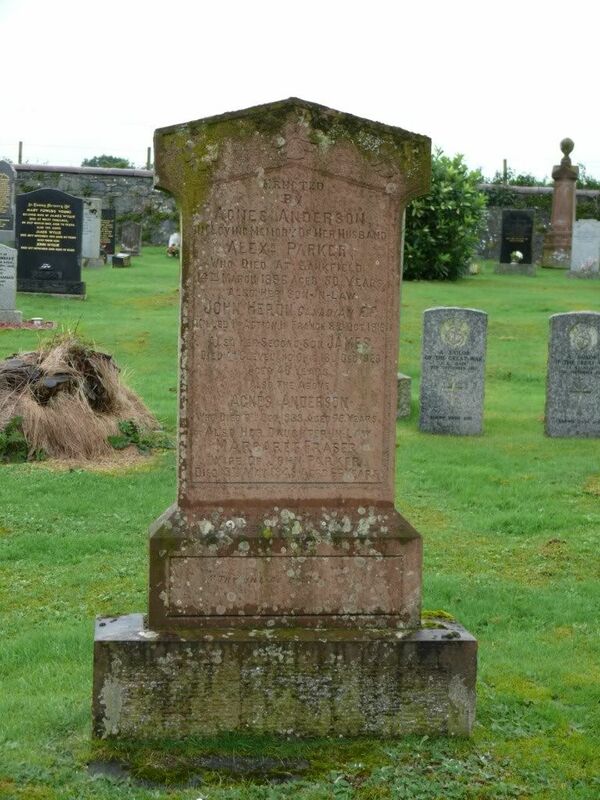 Additional information: Son of Alexander and Helen Clanachan, of Church St., Glenluce, Wigtownshire.